Design based on clients direction and logo. This is our exclusive 3x3 Cocktail Card by Premiumcards.net with custom treatments. 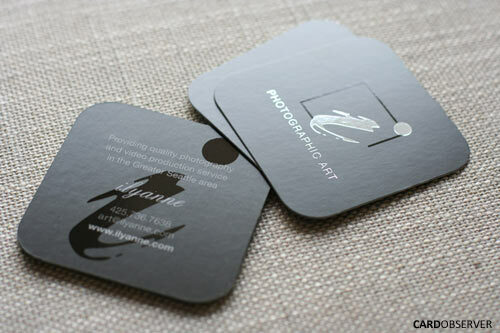 Specs: 16pt Smooth Matte High Gloss Spot Coating 2 sides Die Cut and finished with a high gloss silver foil.